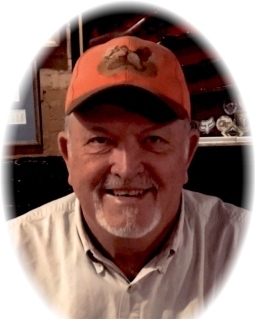 Daryl Warner Stevens, age 65 of Griffin, passed away on Friday, April 5, 2019. Daryl was born in Newnan, but raised in Griffin, Georgia. He graduated from Griffin High School and worked for Delta Airlines for 27 years. Stevens Construction was founded in 1989, through which he, along with his son Curt, managed projects all over the central Georgia area. A loving husband, brother, grandfather, and friend, Daryl will be remembered by all who knew him as a man of integrity, humor, and kindness. Few will ever give so much to others or more readily lend a hand. He was committed to furthering relationships, communication, and the experiences of others often at a sacrifice to himself. Daryl is survived by his wife Sherrie Mays Stevens from Griffin, GA , whom he loved and cherished for 47 years. He is survived by two daughters, Melissa Brooke Stevens of Macon, GA and Lindsey Stevens Rawlings, married to Joseph Lee Rawlings, of Athens, GA, and his son, Curtis Troy Stevens of Griffin, GA. He was an immensely captivated, thoughtful, and proud grandfather to Joseph Lee “Bo” Rawlings, Madeline Grace Rawlings and Brayden Troy Stevens. He is also survived by his sisters Marilee Stevens Ledford and Cheryl Stevens Jones of Atlanta, GA. While Daryl was a man of tremendous passion and skill as a bird hunter, with legendary work ethic and toughness, his commitment and devotion to his family and friends will be remembered and cherished most. A visitation for Daryl Warner Stevens will be Sunday, April 7, 2019 from 4:00 pm until 6:00 pm at Conner-Westbury Funeral Home, followed by a memorial service in the Chapel.